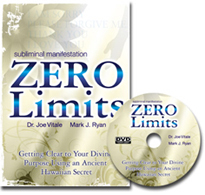 Read our review of "Subliminal Manifestations: Zero Limits"
Read our review of the "Zero Limits II Seminar – Live Maui"
Read our review of the movie "The Matrix"
Films and videos we love and recommend. More and more profound wisdom and information is emerging each and every month, giving the people of this planet the most wonderful gift of enlightenment. It is coming from books, films, videos, music, the internet, oral presentations, conferences, expos and gatherings. The mediums of films and television have long been employed to enslave mankind's consciousness in a cloud of disinformation and illusion. 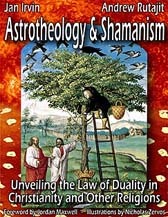 Yet that paradigm is rapidly transforming itself into a new enlightened one. Now many are using film and video to disseminate truth and wisdom and it will move further and further into this direction. We have attempted to gather together some of the finest and most inspiring films and videos to be found in the world today. Below you will find links to dozens that we highly recommend. It is our belief that each of these films and videos will help to expand your consciousness exponentially. Currently, we have over 400 video and audio clips and counting that are linked on our site and we have attempted to offer a convenient location to view them, without ever having to leave our web site. 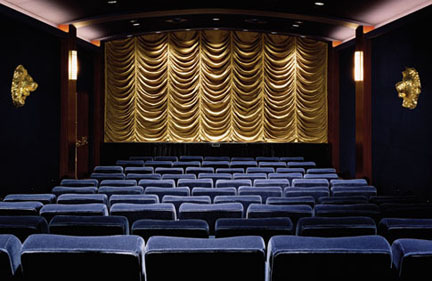 Many of these films or videos can be viewed here in a separate pop window which can be made into a full-screen mode by simply clicking on the button on the right hand corner of the window. Others can be ordered from our Amazon.com store on DVD. 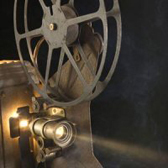 Some are full-length lectures or presentations or in some cases, feature films, while others are short video clips. We hope you will find these videos as enlightening and inspiring as we have. We will be adding more films and videos as we have the opportunity to review more. Enjoy! 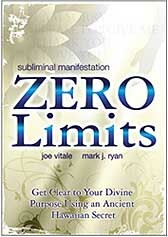 "Zero Limits" is the sensational book written by Joe Vitale and Dr. Ihaleakala Hew Len and published in 2007 that presented the story and history of the ancient Hawaiian healing art known as Ho'opnopono. The duo have also conducted a series of seminars together and each of them have become invaluable resources in deepening the understanding of the Ho'oponopono process. Thus far, they have released an audio series from the first Zero Limits seminar and two videos documenting the second and the third Zero Limits seminars respectively. Both of these videos come with our highest recommendations! "Subliminal Manifestations: Zero Limits" is a wonderful collection of videos, particularly the Inner Child Meditation and the highlights from the Zero Limits III seminar from April 2009 with Dr. Hew Len. In addition, this DVD features several meditation videos created by Mark Ryan as well as other material that total of over three hours. Recorded in 2007, the second Zero Limits seminar filmed in Maui, Hawaii is another outstanding resource to absorb and comprehend the Ho'oponopono process in an advanced fashion from the book. This video series consisting of eight downloadable files covering nearly eight hours of materials. – David Wilcock – "The 2012 Enigma"
Author, researcher, speaker and mystic, David Wilcock's seminal video presentation recorded at the Conscious Life Expo '08 in January 2008, was "The 2012 Enigma." This is absolutely riveting and sensational information about our world and our universe. Highly essential! 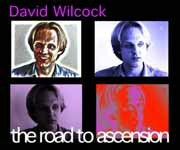 If you are new to the work of David Wilcock, this four part video entitled, "The Road to Ascension – A Conversation with David Wilcock" is a great place to start. Filmed by the Project Camelot team of Kerry Cassidy and Bill Ryan, this video offers a comprehensive look at David Wilcock's life history and career. "The Pharmacratic Inquisition" offers probing research into the use of symbolism by ancient cultures and religious sects, most particularly that of the sacred plants that promoted a consciousness expanding experience, known as entheogens. There are two versions of the "The Pharmacratic Inquisition," both of which can be viewed online. There is a lecture presentation by authors Jan Irvin and Andrew Rutajit, as well as a more polished production, which is entitled, "The Online Edition," and can also purchased on DVD. There is also a companion book by the same name. This is absolutely fascinating material! – "The Pharmacratic Inquisition: The Online Edition,"
"Ring of Power" is a superb documentary of an alternative take on world history and reveals who has really been pulling the strings behind the scenes. It covers in detail the ruling elite and the history of their bloodlines as it takes the viewer through world events going all the way back to ancient Egypt to the present. Unfortunately, the production values of this video are somewhat low tech, (at least for the online versions), but don't let those minor flaws dissuade you. This is an excellent history lesson that all should see! 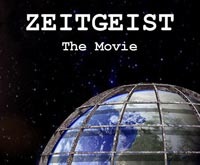 "Zeitgeist: The Movie" has been an internet sensation and has become one of the most watched, most popular videos on YouTube video. 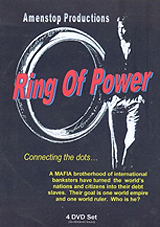 It has resonated with online audiences around the world as it has shed light upon the draconian institutions government, religion, banking and other hidden agendas. "Zeitgeist: The Movie" was followed up by a sequel entitled, "Zeitgeist: Addendum" which dealt primarily with the corrupt economic system that is rapidly disintegrating before our eyes. 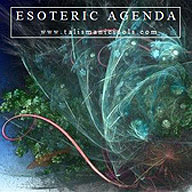 "The Esoteric Agenda," and sequel, "Kymatica"
Much like "Zeitgeist," "The Esoteric Agenda" and it's follow-up sequel, "Kymatica," pulls back the veil on the world that we live in and examines our origins as human beings on planet Earth. It takes a hard look at entrenched institutions such as government, religion, health care, education, among many others. Make sure to watch the ending of "The Esoteric Agenda," which offers a message of great hope for humanity and our spiritual evolution. Arguably one the all-time greatest trilogies of films ever produced, "The Matrix" series is awe-inspiring in its dramatic representation of human consciousness and the illusionary three-dimensional world in which we inhabit. Although hailed as a science fiction masterpiece, these films pack so much more wallop than a mere evening of idle entertainment. 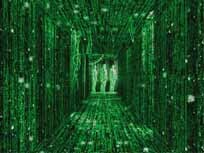 It dared to pull back the veil and expose our reality for what it truly is... nothing but an illusion! Don't be put off by the seemingly dark tone of these movies, these are absolutely riveting, particularly the first one in the series, simply known as "The Matrix." Author, speaker and researcher, Drunvalo Melchizedek offers some amazing tutorial videos on such fascinating subjects as sacred geometry, the ancient Flower of Life, the Merkabah (spirit light body) and ancient symbolism. He has also worked intimately with indigenous people from around the world, particularly the Mayan elders, and has gained much insight into past and future world events. You will be amazed and enlightened by Drunvalo's teachings. Also, check out his companion books, "The Ancient Secret of the Flower of Life: Volumes 1 & 2," which are featured in our Reading Room. As a companion to his wonderful series of "The Ancient Secret of the Flower of Life" books, Drunvalo Melchizedek has presented numerous workshops on sacred geometry and the inherit, ancient power of the flower of life. This two part video is an excellent explanation on sacred geometry, the human body, the merkabah, as well as, the flower of life. Filmed in Buenos Aires, Argentina, in August of 2008, Drunvalo Melchizedek discusses the rising tide of consciousness that is rapidly unfolding planet wide. His uplifting words offer great hope for the future and you will find this video most inspiring and enlightening. – "Drunvalo Melchizedek in Buenos Aires, Argentina, August 2008"
– Drunvalo Melchizedek – "The Maya of Eternal Time"
"The Maya of Eternal Time" was originally a live web cast transmitted on July 29, 2009. In this live presentation, Drunvalo Melchizedek dispensed a lot of information that was given to him by the Mayan elders, led by their spiritual head, Don Alejandro. Drunvalo states that the Mayans have told him that there is a window of time open from the years 2007 through 2015, where sometime within that period, a great shift of consciousness in humanity will occur. At the end of the web cast, Drunvalo took questions from the listening audience and offered further great information.